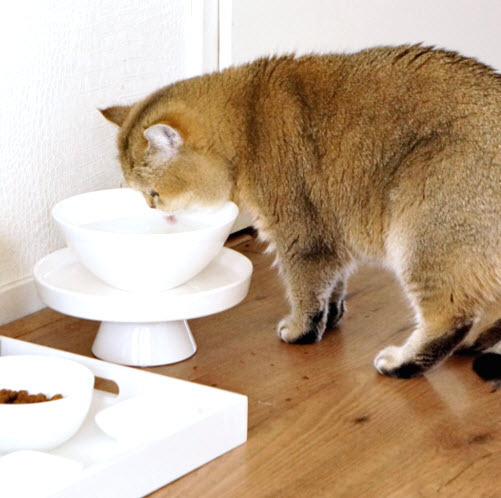 Make a raised water bowl for your cats! Get a small bowl, a large bowl, and a small plate, tray, or platter. Turn the small bowl upside down, then glue the plate on top of it. Glue the large bowl on top of the plate.